It was his childhood passion of playing football that every day he braved chilly winter mornings to reach a football ground some 15 Kilometres far from his home for practice. Having the title of being the first ever footballer from his district to play Super-division football, Muzamil Mahmood Dar, could have easily played as a promising midfielder for any team. But at the pinnacle of his career, he got a choice, either to proceed with his game or nourish young football talent from his district. He chose the latter. Coming from a far-off village in Central Kashmir’s Ganderbal district, where no concept of professional football existed, Muzamil, without any official funding or support, began to pool talented youngsters for his club. He voluntarily travelled to every village of his district to identify youngsters who had knack for football. He went to schools and gave classes on tactics of the game. After spending much time in travelling and simultaneously haggling with attitudes of people, Muzamil finally gathered a group of 30 youngsters of under-17 under the umbrella of Football Club Ganderbal (FC Ganderbal). “Though, there were already few football clubs in the district, I wanted to create a disciplined and professional football team,” he says. “I want to promote football and train youngsters who don’t have enough facilities and opportunities to make their mark,” says Muzamil, who in addition to being a young football coach, is a government teacher. All the expenses on team management, uniform, equipments, and travel etc., are paid by Muzamil himself. “During the initial days of club, I used to spend 1400 rupees out of my salary of 1500 rupees on the management of the team,” he says. For Muzamil, the colours of his initiative are already blooming. His club, despite every player below 19, won an intra-district tournament by defeating senior football teams. The team also reached in the finals of an inter-district senior football tournament in which 64 teams participated. “We are very happy with our progress and success as a team,” Muzamil says. “Apart from team’s success in various tournaments, my players have succeeded in securing places in some very prestigious football clubs of the valley,” he says. Recently, Muzamil’s one player Aamir Sofi, played for Kashmir University Football Team, another footballer, Bilal Ahmad now plays for the club of a government department. In addition, two boys of his club play for prestigious Maharaja Football Club while other four have got a place in the team of Kashmir United Football Club. 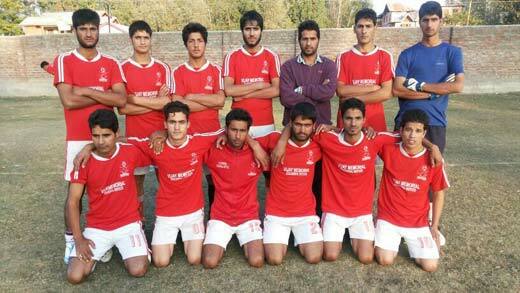 Zulfikar Bashir, 18, a player of FC Ganderbal, has already played four nationals in different age groups of his career. Explaining the logo of his club which reads ‘Unity, Discipline and Passion,’ Muzamil says he believes that in addition to practice, focus should be on inculcating values, discipline and professionalism in a player, so that before a good footballer he or she is a good human being. 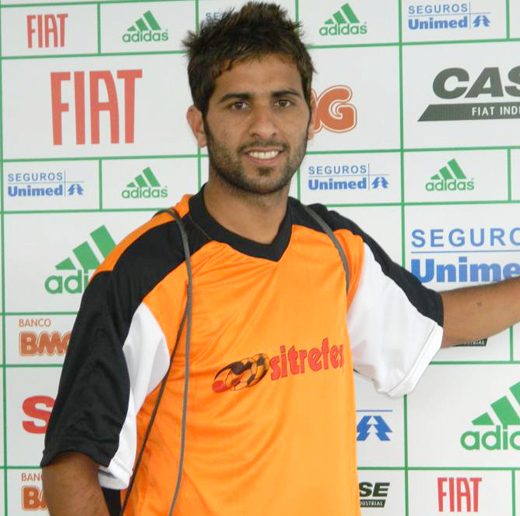 In 2007, Muzamil received an award for the promotion of football in Ganderbal district from Jammu and Kashmir Football Association. Currently, he is the district president of Ganderbal for Football Players Welfare Association headed by veteran Kashmiri footballers Mehraj Ud Din Wadoo and Sajid Yousuf Dar. Muzamil says that football has given him everything. “Football gave me respect, recognition and satisfaction. Hardly does one find a local bus to our village, so in that way, it is my duty to train youngsters at my own level, so that they can play professional football,” he says.